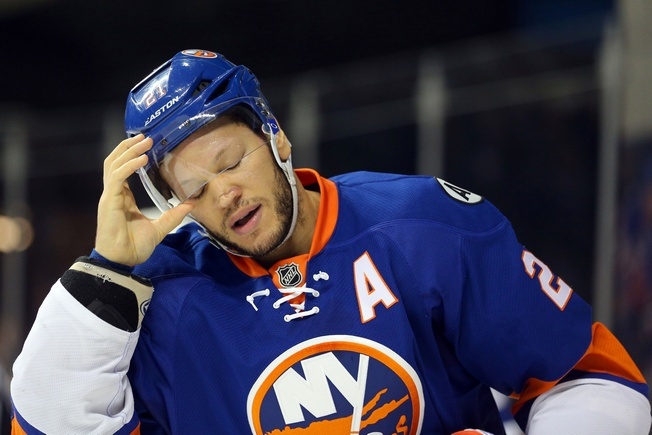 Kyle Okposo’s tenure with the New York Islanders has come to an end. The 28-year-old has signed a seven-year contract with the Buffalo Sabres on Friday. The deal is worth a reported $42 million, with an average annual value of $6 million. Okposo long knew that he would end up somewhere else this season, with general manager Garth Snow asserting on June 17 that he was not planning on re-signing the forward. Okposo polished off the final year of a five-year deal at the conclusion of the 2015-2016 season, thereby ending a 529-game career with the Islanders. Okposo was drafted seventh overall in the 2006 NHL Entry Draft and joined New York at the end of the 2007-2008 season. He has since piled up considerable points, with his best NHL season coming in 2013-2014 as he scored 69 points in 71 games – including 27 goals. Last season, Okposo managed 64 points in 79 games. His 22 goals were third on the team behind John Tavares and Brock Nelson. The Islanders and Okposo weren’t really ever close on a new deal, but he certainly is a Long Island success story. He grew into a player as an Islander and that is no small feat, especially considering the modern pricing of the market. The team hasn’t always made the best decisions in terms of management, but they have a lot to be proud of in Okposo. And while Buffalo may not put him closer to a Stanley Cup, at least for a while, he has an opportunity to play with a developing squad. That’s worth something, especially given Okposo’s playmaking abilities. He plays a workmanlike game, even with some defensive lapses, and he should be a solid fit for the Sabres roster. Honestly, the Sabres only get better and better. With Ryan O’Reilly and Jack Eichel in the mix and Okposo set to bolster their margins, Buffalo could surprise a lot of people in the coming year.